Raspberry Ripples. Organic Red Fleshed Apples On A Market Stall. 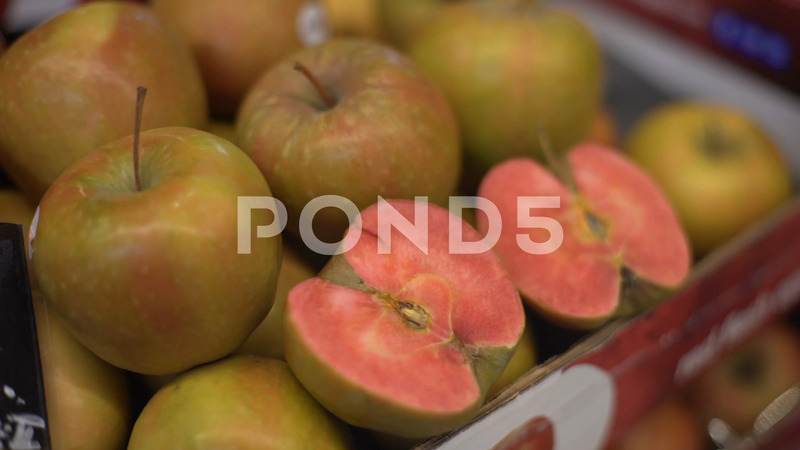 Description: Organic red-fleshed apples. Unusual apples with a red flesh on a market stall. Raspberry ripples.